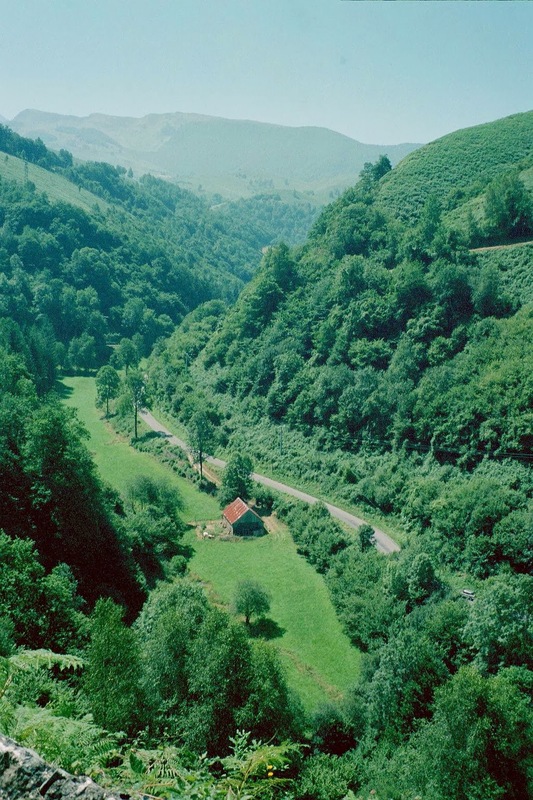 The first road I ever rode a bike upon in the Pyrenees was this beautiful green road above (D26). 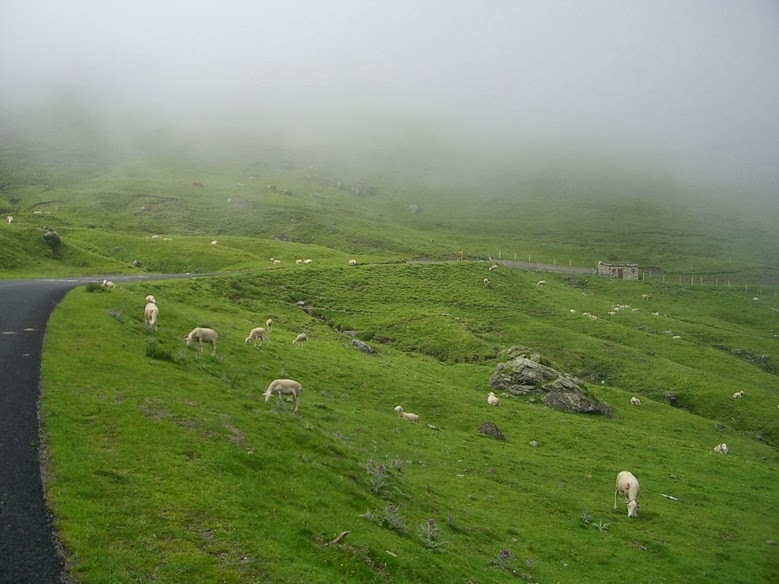 This may also be one of the very first pictures I took while riding in the Pyrenees. I'd say it was a good introduction. The D26 happens to be part of one of the best 102 kilometer rides in the Pyreness (in my opinion) and one I have yet to map out and recommend on this blog. 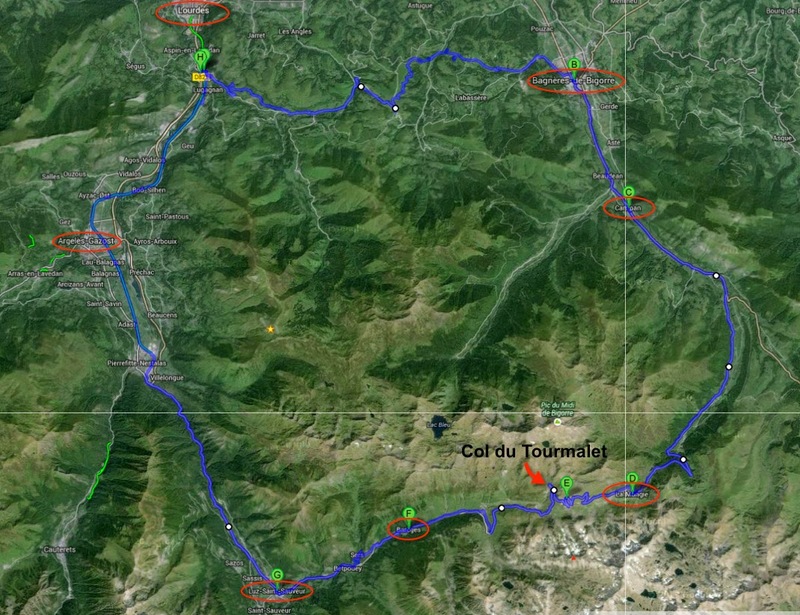 So here it is - the loop ride of: Lourdes - Bagnères-de-Bigorre - Campan - Col du Tourmalet - Barèges - Luz-Saint-Sauveur - Argelès-Gazost - Lourdes (starting at any point along the route) and riding in one big loop. 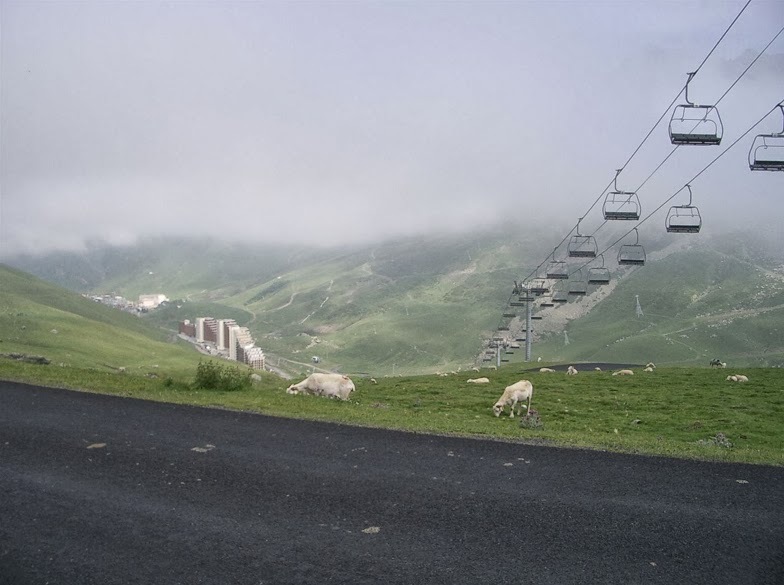 This year, a dream week in the Pyrenees awaits any cyclist lucky enough to attend the Tour de France. 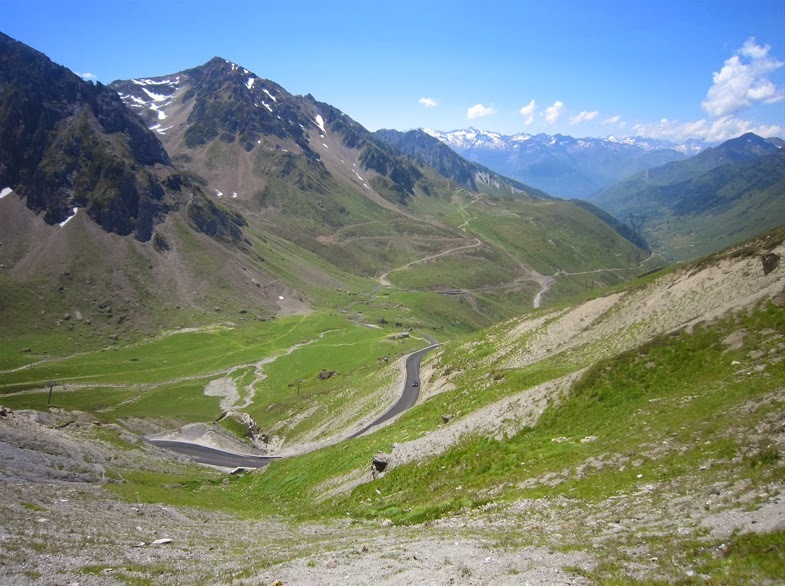 If you will be riding in the 2014 L'Etape du Tour, you will ride (race) much of this loop. 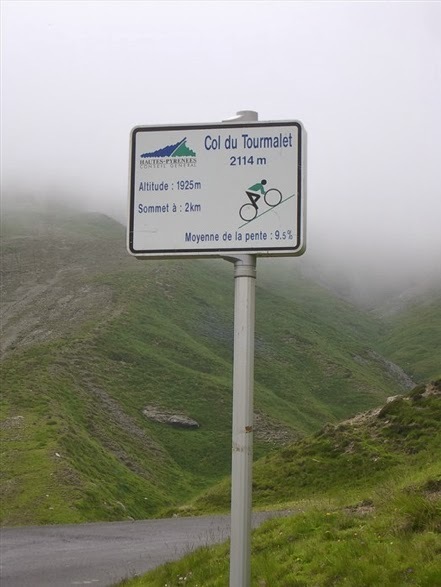 If you will be attending stages 16,17,18,19 of the TDF, be sure to leave a day available in your itinerary to complete this entire ride on a non Etape (July 20th) or non Tour day (July 24th). If you have ridden in this area before, watching the landmarks pass by during this year's TDF Stage 18 TV coverage will bring back fond memories. Any time you find yourself riding on the D918 through the Pyrenees, you will surely find a corresponding smile on your face. 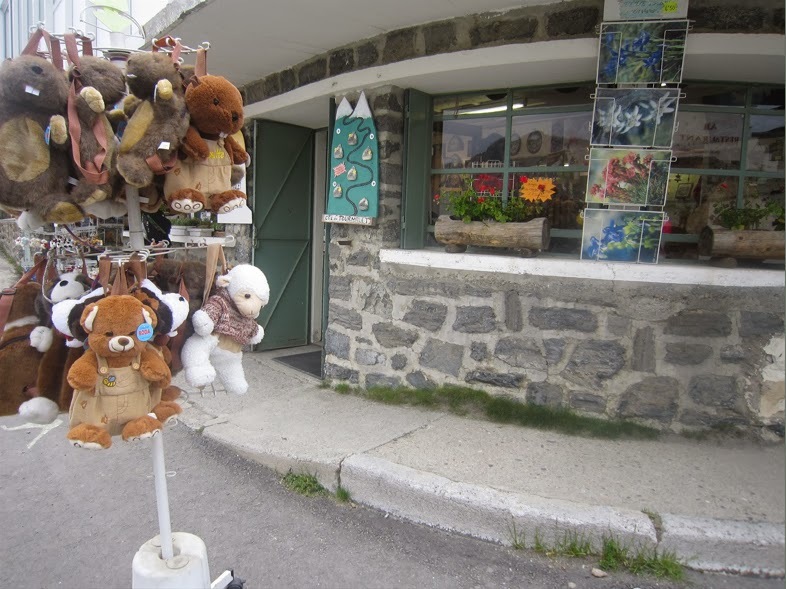 Route: D26 - D935 - D918 - D921 - D913 - bike path/D921B or D13 through Boo-Silhen back to Lourdes. 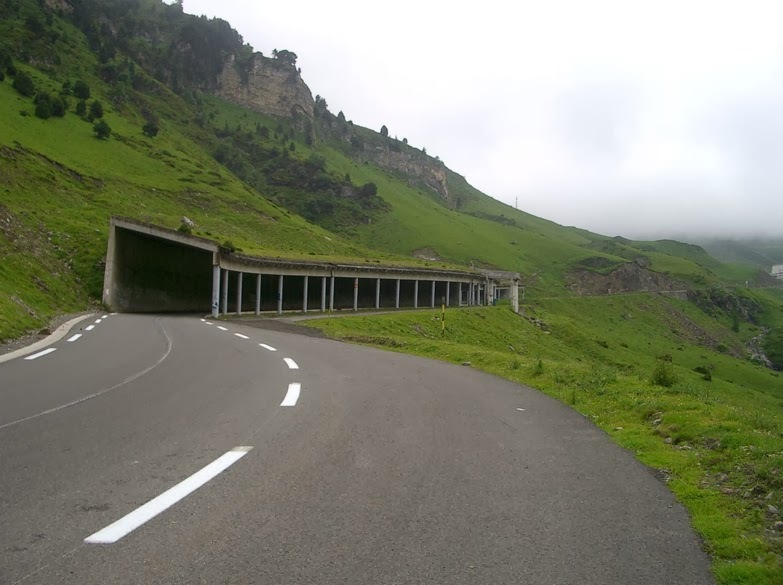 This loop ride provides a good sampling of what it is like to ride both the small roads and big mountain passes in the French Pyrenees. 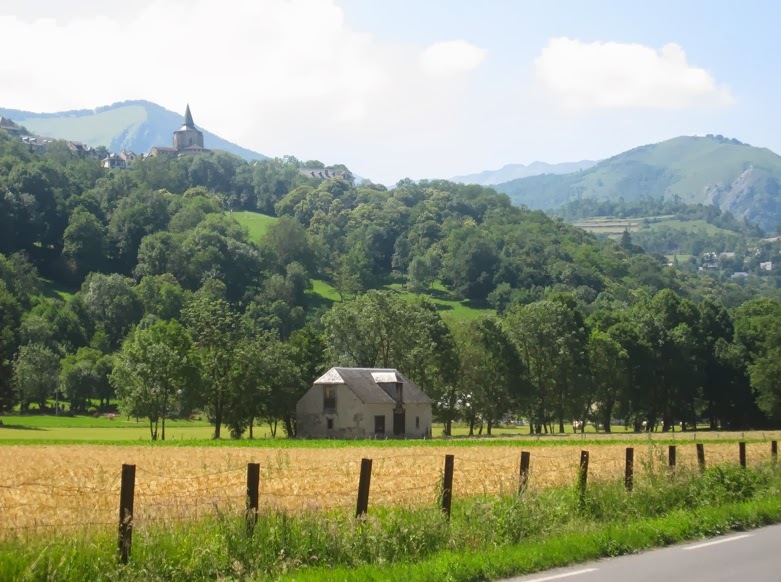 I particularly like the first part of this ride (be sure to take the D26 and not the busy D937) through the low-traffic green hills between Lourdes and Bagnères-de-Bigorre. 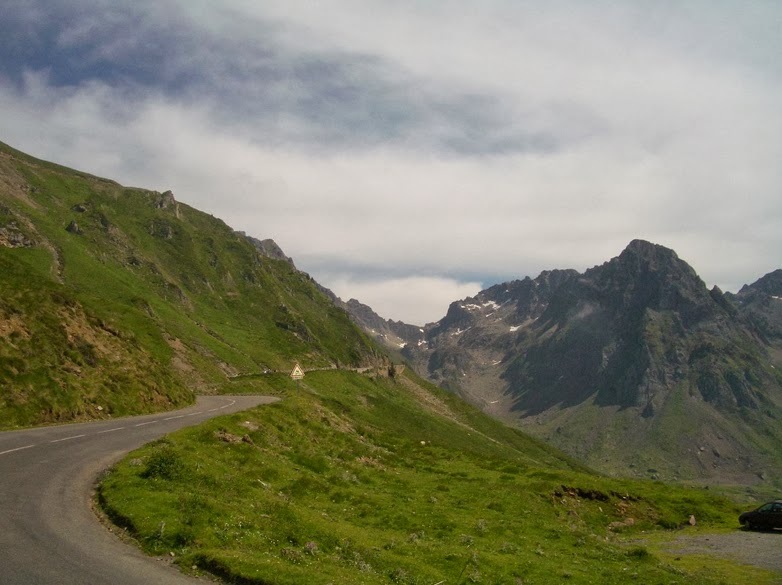 It might seem like it is taking more time than the bigger highway, but the ride and short punchy climbs, are beautiful, fun and a good warm-up to the long steady climb up the D935 to the Col du Tourmalet. 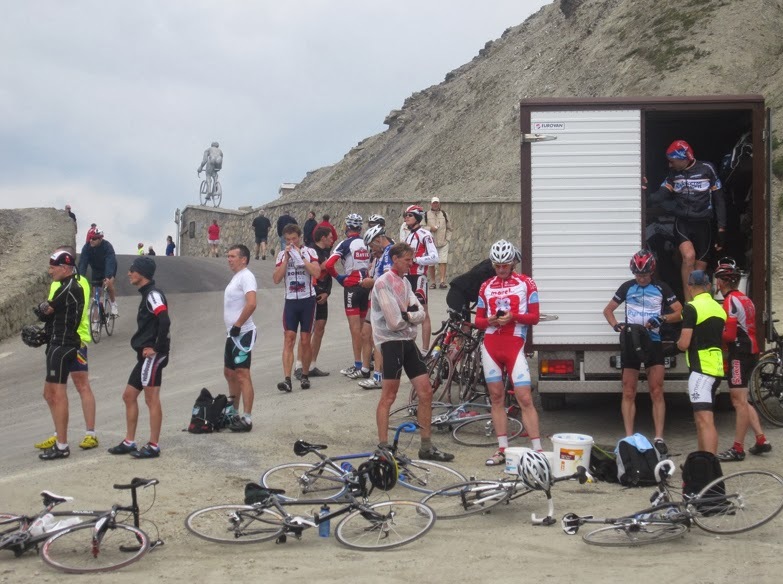 One of the most recognizable structures on the climb to La Mongie/Tourmalet is this avalanche shelter, (look for it in the TV coverage and you will know how much further the riders have to the summit). 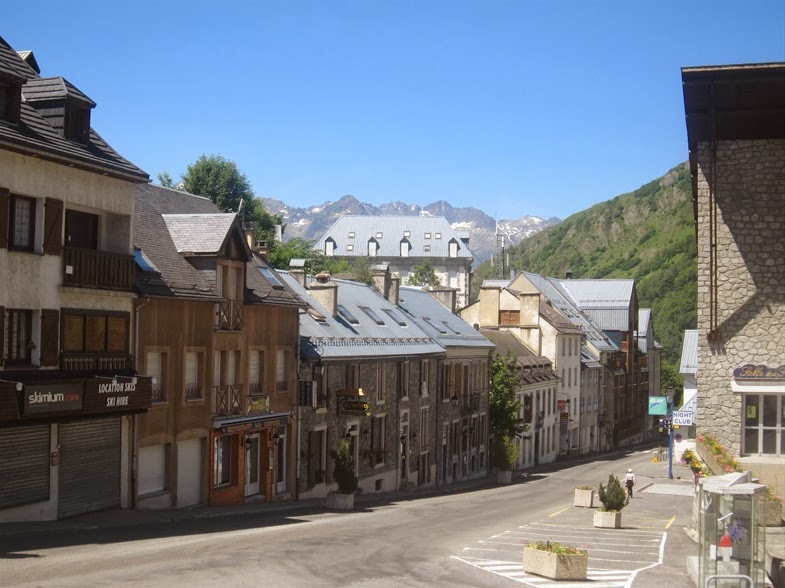 The village of La Mongie might be a little quiet in summer, but you will see lots of cyclists on the road who will give you an encouraging cheer. 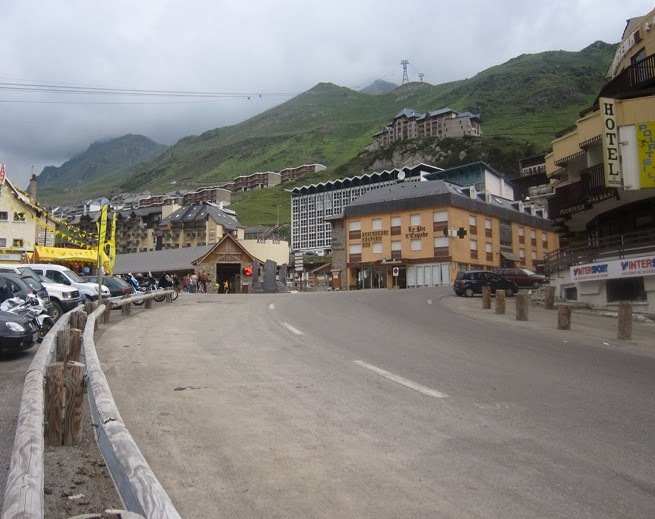 Looking back down at the ski village of La Mongie, you have a sense of accomplishing a big climb. That small passage to the left marks your arrival at the summit. You will not be alone, this climb is very popular. You'll need to take your own photo of the Giant, the landmark of the summit. 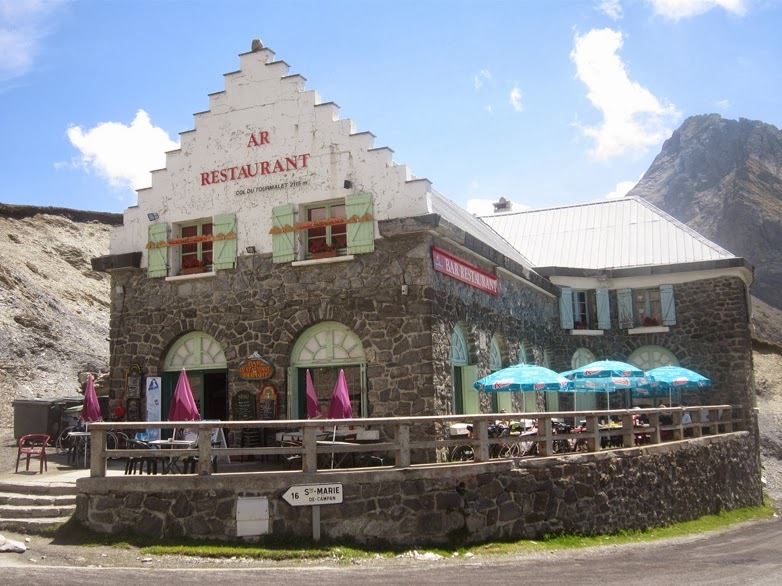 Sit on the patio at the restaurant at the top of the Tourmalet, have a drink, and watch the riders come and go. For most the climb is an incredible accomplishment. 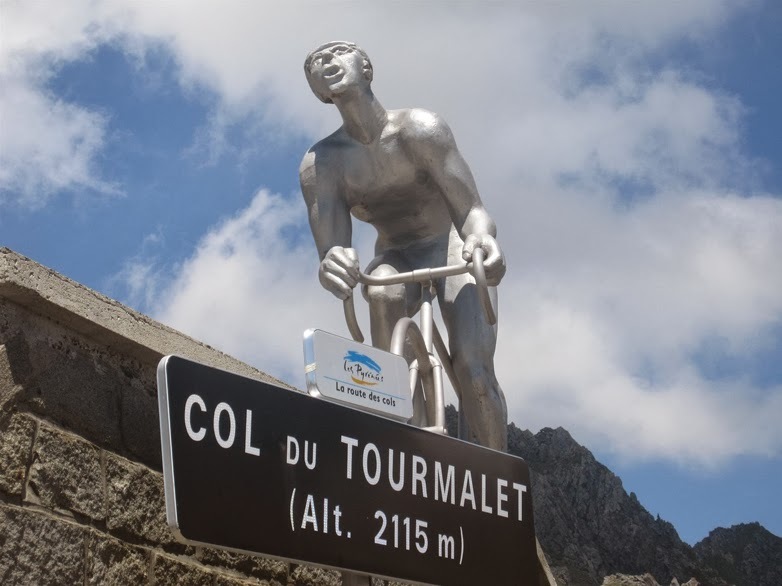 Now you'll have to get off the Tourmalet - down that valley you go on a long long descent west. 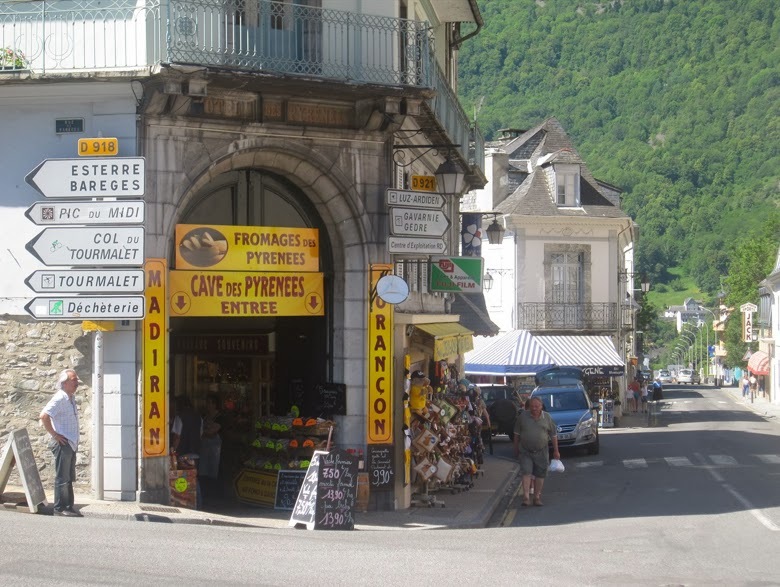 Into the Lavendan Valley and past Saint-Savin (on the hill) and into Argeles-Gazost on your way to Lourdes. From here you can catch the bike path/road back to Lourdes, this is your warm-down but plenty of miles of steady pedaling. Bikes are not allowed on the freeway, it's a bit tricky at the junction at Argeles-Gazost so check your GPS or map. Remember the Hautacam sits within this loop ride, at the point of Argeles-Gazost: Photo for the Day - Hautacam. Luz Ardiden is another off-shoot from this loop, take a left (south) onto the D921 at the town of Luz-Saint-Sauveur. 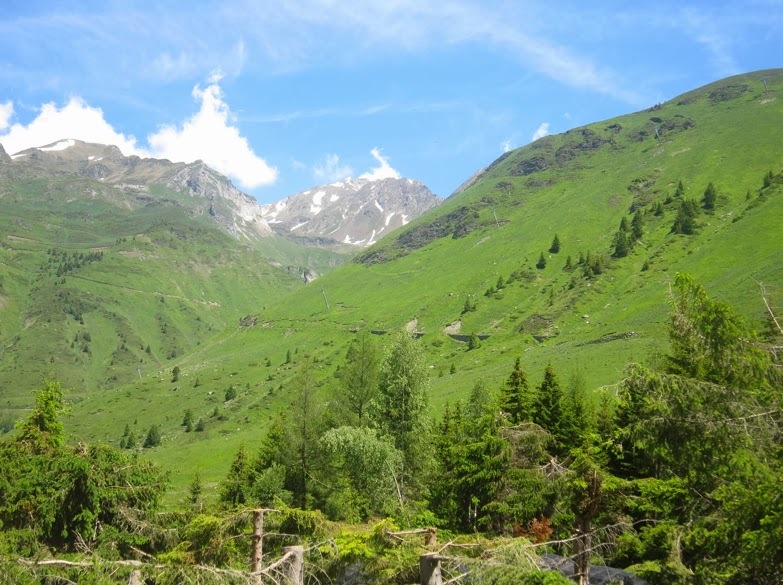 Col d'Aspin can also be climbed from this loop ride, veer off onto the D918 east at the town of Campan. 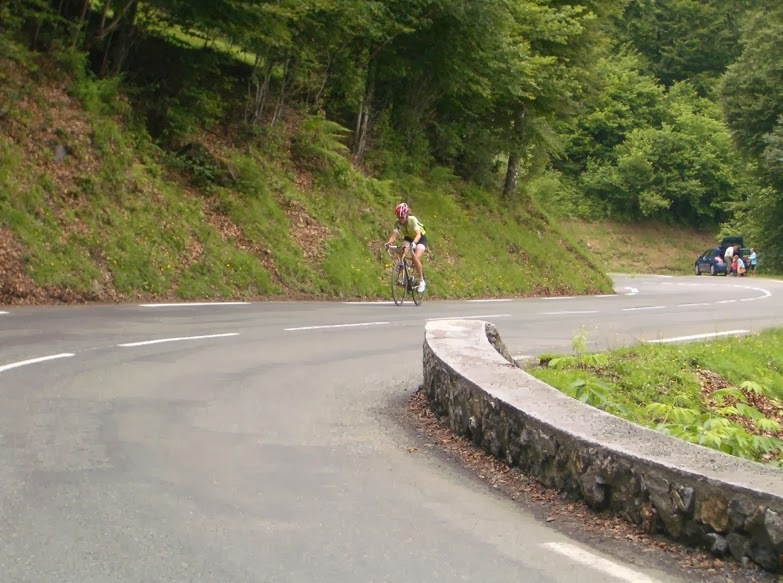 The route of this year's L'Etape du Tour (July 20th) includes some of this recommended loop ride (including the section of road between Bagnères-de-Bigorre - Campan - Col du Tourmalet - Barèges - Luz-Saint-Sauveur - Argelès-Gazost). 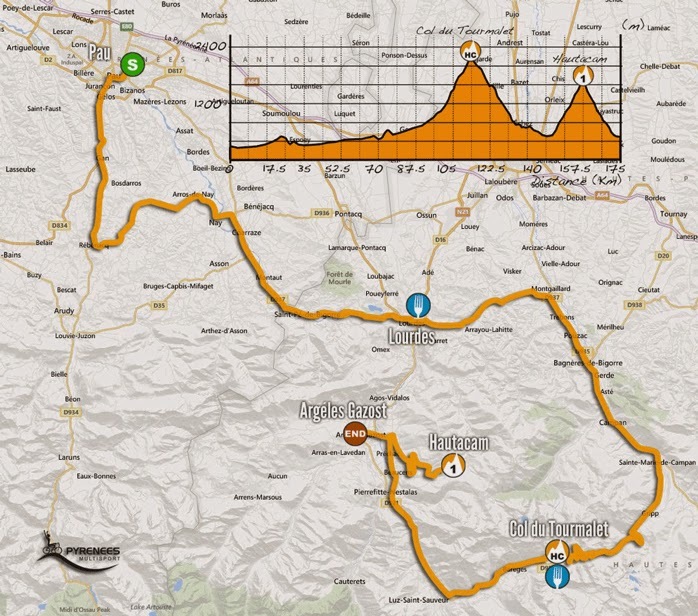 This is basically Stage 18 of the 2014 Tour de France.